Hrithik Roshan, who has been out of business for the past year or two, is set to be back onscreen with ‘Super 30’. His last film, ‘Kaabil’ was a success at the ticket windows. And now, the actor is gearing up to make a big comeback. As he has been away from film, it’s quite understandable that he has put on some weight. Before he is back with ‘Super 30’ and the YRF actioner with Tiger Shroff, he is taking to gymming rigorously. He is sweating it out so that he could be back to his ‘Greek God’ physique. 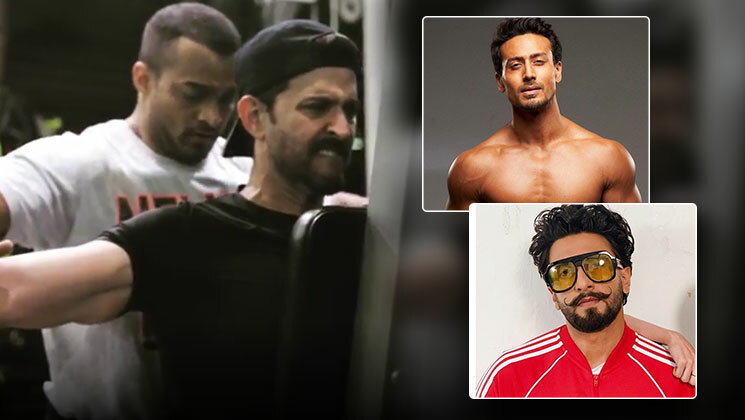 Looking at Hrithik’s dedication to lose extra kilos and push his boundaries, Tiger Shroff and Ranveer Singh took to commenting on the video. They have their own funny takes on the superstar’s comeback to his fab fit form. Talking of Hrithik’s upcoming projects, the light-eyed superstar will be slipping into the character of a Mathematician who grooms 30 students for the competitive exam of IIT-JEE. The film is all set to release on July 26. After that, he is also going to have the yet-untitled YRF action film with Tiger and Vaani Kapoor releasing on Gandhi Jayanti.